Two days ago, Luxury Daily held the webinar "Luxury Holiday Marketing Recap: What Worked, What didn't, Lessons Learnt. Although it was focused on Luxury Brands in the Retail Industry, the hospitality industry can learn a lot from the strategies adopted during the holiday season. Have you already imagined a library without any physical books...? One can admit that it is not the traditional use of this kind of place! 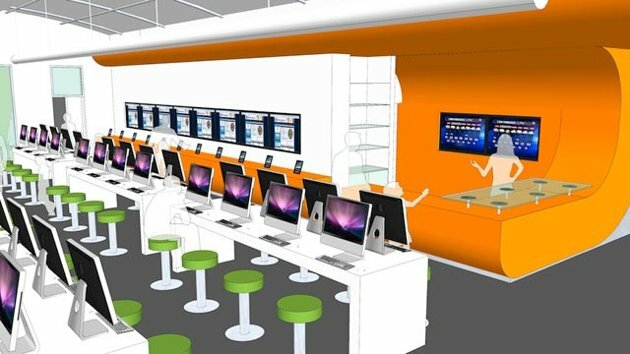 "America's first-ever book-less library will open in San Antonio's Bexar County in the fall of 2013"
The city of San Antonio (US) will become the precursor of a new trend, by opening a library that will only provide desks, chairs, lamps... kindles, computers and tablets! Poeple living around this library will then be able to borrow e-readers to bring home for 2 weeks, on which they will have access to database of the library. After these 2 weeks, the e-reader will be de-activated, and the borrower will not be able to use it anymore. What is your opinion about this new generation of library? "Progressive or pointless*"? "Isn't that like having a restaurant with no food?" "Isn't a library without books called a "compuer lab"?" As the latter were valued on Google+, it could therefore be assumed that coherent and complete business listings on local recommendation sites would influence businesses ranking among top results on Google Search Engines. getListed is a great tool to help you both review and update your business presence on local recommendation sites. No wonder SEOmoz recently acquired getListed ! Time to discover getListed, right below !